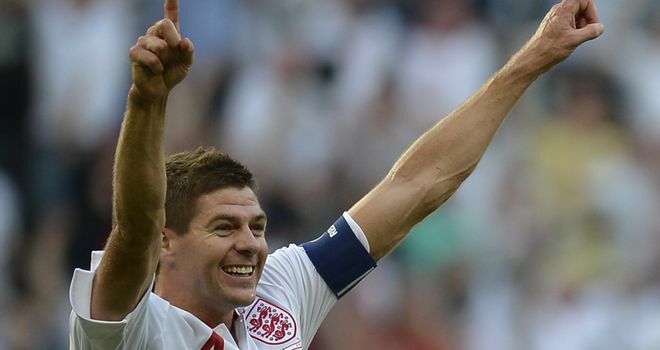 England captain Steven Gerrard believes what his players lack in technical ability they make up for in desire and commitment. Gerrard does not think it is right to draw comparisons between the Three Lions and a team such as Spain, who are bidding to win their third straight major tournament. He does, however, feel England have other attributes that need to be taken into account and says their fighting spirit means they can compete with anyone. "These people who have that opinion (England's players are not technically good enough) are watching Spain and Barcelona," said Gerrard. "Of course we are not as technically gifted as those teams or that type of player. They are the best in the world. "What we haven't got in technique, maybe we gain on them in heart, desire and commitment." Chelsea's backs-to-the-wall performances in both the UEFA Champions League semi-final and final this season was put to Gerrard as the obvious example of what he meant, to which the Liverpool skipper quickly added: "So did we in 2005. Exactly the same." The assessment is largely based upon France's dominance in possession in Donetsk on Monday and the glaring statistic Les Bleus completed twice as many passes. But Gerrard believes a more circumspect approach needs to be adopted in such situations and says a solid defensive foundation is the key to negotiating the group stage. "You have to understand, you can't approach some of these teams and go out all attacking and gung-ho," he said. "If you are not organised, tight defensively and maybe sacrifice something going forward you go home early."